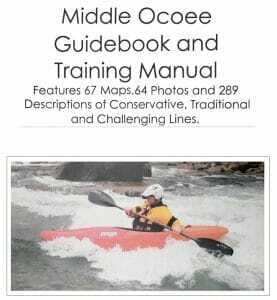 “It will change your life”….and so Jeff West and I began the planning of an 8 day paddling/back packing trip to Cataract Canyon and the Needles District of Canyonlands in October 2012. Cataract Canyon is the Colorado River as it flows through Canyonlands National Park in Utah. A permit for a trip through Cataract is not as involved as a trip to the Grand Canyon; you just apply for the permit, pay $20 per person, and get ready to go. The permit holder is the only person who must go. We opted for an 8 person permit. Now… to pick a group. Invites were extended and finally we had our group. We opted not to go with facebook, since the backpacking will be challenging and “not for everyone”.Two weeks later, the permit was in hand and the group was ready to go. Jeff West, Joseph Gudger, Joseph Gordy, Bridget Gordy, Allie Barth, Chris Pesce, and I made up the group. September 10, 2012 all plans were disrupted. The loss of Jeff West hit us all hard and no one could imagine taking this trip without him. Then came September 20, Joe Gordy approached me saying “We are still going to Cataract, and we are going to get Jeff to the Needles.” As luck would have it, Jeff and I applied for the permit in both of our names so the trip was still able to happen. We re-grouped knowing we were leaving in only 3 weeks and had a slight change to our group. This was to be a full self-support kayak trip. Everything we needed for our time out there had to be carried in our kayaks, including the equipment needed for the overnight backpacking trip into the Needles. Our final group ended up being Joseph Gudger, Joseph Gordy, Bridget Gordy, Allie Barth, Jordan Sherman, Matt Walston, and me. Now we needed a list of supplies to take. First – the kayaks (which had to be big enough to carry our gear). The guys took Green boats. Bridget took her Nomad. Allie paddled an XP10. I paddled a Jackson Rogue. Thank you to Jackson Kayak for this one, plans had been made for us to borrow boats for this trip so I was very happy when they still let me borrow one. Food, cooking ability, water (and/or filter). Camping gear. Backpacking gear. 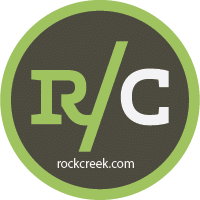 Groover…me, “what the heck’s a groover?”Oh…waste management on the river….that should be interesting. We manage to get everything together and are ready to make our trip out West! 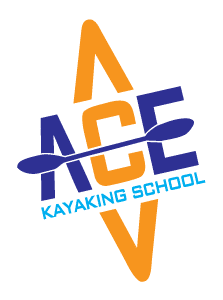 The meeting place was Ace Kayaking at high noon on October 14, 2012. Joe Gordy, Matt Walston, Allie Barth, Jordan Sherman, and myself were there as scheduled (Bridget and Joe Gudger would fly and meet us in Denver). Allie was driving her SUV pulling the trailer with boats and gear. I was driving my Subaru. Of course we did not get on the road as planned. Finally loaded up and ready to go….pick a vehicle! Joe, Matt, and Allie in the SUV. Jordan and I in the Outback. Within about 10 minutes of starting the trek, I quickly realized this was going to be quite the trip….having never really met Jordan before, this dude was CRAZY (in a good way of course)! We met those who flew in Denver on October 16, and began our trip to Moab. We would be launching on October 17! We camped at the put in on the night of October 16, then woke up to prepare to launch. The rangers came around and inspected our gear. Did we all have a first aid kit, check! Boat repair kit, check! Extra PFDs and breakdown paddles, check! Fire pan, check! Wait…the rangers were fascinated by our fire pan. Joe Gordy built our pan so that it could be taken apart and all trip members carry a portion of it so that no one had all of the weight. They asked us to put the pan together. We did and check! Ready to go!! We hit that water at 10:30am. Immediately you are hit by the beauty of Utah. The colors of the rocks against the blue skies. Just amazing. This trip was not about full on whitewater, it was about the beauty found in America and seeing places that most people never will. All of us on the trip had heard about the wonders of Canyonlands and the waters of the Colorado. It wasn’t the usual class V that Jeff paddled, instead it was a serene adventure full of red buttes and tamarisk lined shores. Instantly it was obvious what an impact this trip would have on us all. We paddled 24 miles that first day and found camping on a beautiful beach. October 18, 2012. “What the heck was that? ?” I sat up fast and screamed…Gudger sits up just as fast asking if I am ok…apparently I forgot to close one of my dry bags and a ringed tail cat decided it needed my almonds. We woke to find foot prints circling around most of our bedding. That morning was sunny and beautiful. We took a hike into some ruins and just engulfed ourselves in the experience. Jordan, Gudger, and I found some foot prints that we could only attribute to the rarely seen “hoofed duck” and were splashed in the river by the elusive “Utah Hippo”. We made it down river 28 miles this second day. Camping at the Brown Betty Rapid. The next day we would start the most important mission of our trip…taking Jeff into the Needles. October 19, 2012. We woke to prepare for our backpacking adventure. 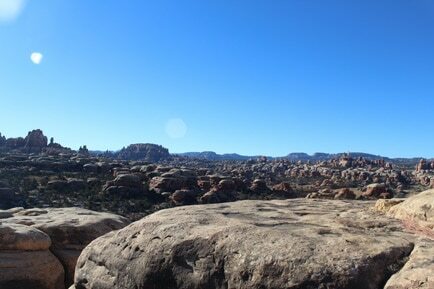 We were now in the heart of Canyonlands National Park. In front of us was the Dollhouse and behind us was our trail into the Needles. Jeff West loved Canyonlands National Park. He has been around most of it, but one area eluded him… The Needles. This was the reason for this trip. This was why we planned it together so many months before. The hike into the Needles covers a span of 1500 vertical feet in four miles followed by an additional 2 miles of relatively flat land through the desert. This was what it was all about…this was how the people for the trip were chosen for their ability to complete this hike. We lovingly called this the “Day the Desert Tried to Kill Me.” After stowing our paddling gear in our boats and hiding them within the Tamarisk we head out. About one mile into the hike, our group came to a roaring stop….as we heard Gudger say “Oh no! I forgot Jeff!” He and Jordan then proceeded to run back to camp and retrieve Jeff’s ashes. It was a grueling hike. A hot day. The first two miles were straight up, then down through the Grabbin’s Plains. Back up through a steep rock canyon with no defined path….rock jumping most of the way. Our next canyon was very well defined. We too quickly ran low on water…and there was no water in site. We got lucky though, as we passed the area where the four wheel drive vehicles can drive in a truck stopped and offered us one bottle of water each. We paid them $20 for 7 bottles of water….money well spent! Finally we made it to camp on the outskirts of the Needles at Devil’s Pocket #1. I am pretty sure I have never been that hungry, but it was the most amazing thing I had ever seen. Gudger, Jordan, Allie, and I spent time climbing rocks above our camp site. October 20, 2012. We woke this morning in a different mood. It was the day. We took off at different times this morning. Gudger and Jordan first. Me second. And the rest of the group third. As you traverse from our camp into the Needles, you must first climb through a small canyon. The view as you get to the top is breathtaking. I was walking down the trail when I hear someone yelling my name and look up and there are Jordan and Joe….way up in the air on a rock. I weaved my way around and finally made it up there. We just sat, no one talking and just taking it all in. The group reconnected here and made our way in. We all saw it and knew it was perfect. We climbed the rocks and went up to a very high point overlooking the canyon below and the Needles. It was a deep breath taken by the group…we were here. We had made it. And so, had he. The trip back to the water was different than before. More silence. More contemplating. It was beautiful. 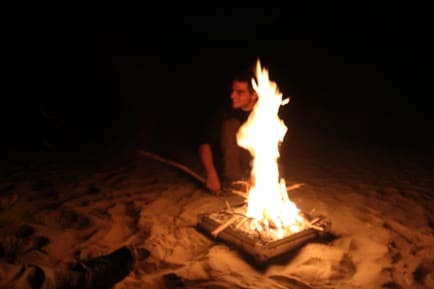 We made it back to camp and were sitting by the water when Joe had a great idea…we were going to have a beach party. Fire pan was built, wood was collected, and Cataract Canyon Hunch Punch was made (literally from the filtered water of the Colorado). Fun was had by all. October 21, 2012. This was the day we got some whitewater. Big, fun rapids. The biggest of the trip was Satan’s Gut. Rated a Class 10 on the old grand canyon rating scale. Today would be our only whitewater, 26 rapids in all…or so we thought. We stopped for lunch after the rapids were through and planned for more flatwater to camp. Drysuits are down because of the heat, but hey no problem its just flatwater right….right Jordan? As I come around the corner I see the rapid. Where did this come from? Then I see Jordan getting tossed and flipped on the eddy line. 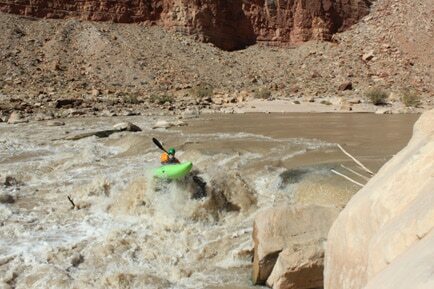 Hmmmmmm…apparently lake Powell was down and 7 more rapids were uncovered….weeeeeeee! Jordan’s trance music did not fare so well at this point….mental note, do not listen to music on your phone in a rapid if you are going to flip. We smiled together through the rapids enjoying the surprise we were given this day! We got to the end of the rapids and realized we were 30 miles from the takeout. We decided to go 10 more miles today, camp, and then an easy 20 miles tomorrow! October 22, 2012. Easy….yeah right!!! I’ve heard of headwinds, but this was crazy!! The last 20 miles were the hardest. No sun, full on head winds. At one point I remember watching a single rock as I paddled for about 5 minutes without moving. But you had to keep paddling or you would go back upstream! Our group got a little separated at this point. Allie and I teamed up to brave the headwinds and catch the wind eddies to take a breather. Around 5pm we all made it to the takeout. Tired, hungry, and in awe. 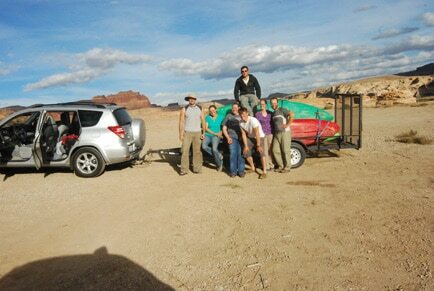 We packed up our trailer and headed to Moab and the Moab Brewery! October 23, 2012. We started our trip back to TN. Jordan and I took a side trip in Colorado taking Gudger to a friend’s farm where he would be working for a few months. Then we started our trip home. It was funny to me how it seemed we had known each other forever….but maybe it was just the trance! 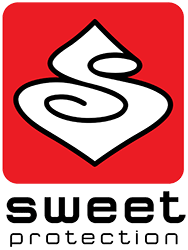 October 24 – 25, 2012. Kansas, Missouri, Kentucky, and then Tennessee. What a trip! I feel fortunate to have gone and I am blessed by the friends I made on this adventure. I definitely agree Jeff…It was a trip that changed my life!